Bring a bag lunch and join us for a special Earth Day program focused on the natural history and conservation of native orchids. The Orchidaceae is a species-rich family of flowering plants with more than 30,000 known taxa globally. Like most terrestrial plants, orchid species interact with mycorrhizal fungi, but unlike most plants, there is little evidence that the interactions are mutualistic. Most research indicates that orchids manage the plant-fungal interactions and they consume the fungi as sources of carbon and other resources. Dependency on fungi has evolved in a number of orchid lineages to a complete dependency on fungi resulting in many species being completely mycoheterotrophic. Understanding orchid-fungal interactions is not only interesting, but it is key to orchid conservation because all orchids have, at least, one life history stage that is completely depending on fungi. Dr. Whigham will focus on native orchids of the U.S. and Canada to describe the ecological challenges that remain obstacles to a more complete understanding of orchid-fungal interactions. He will link issues related to orchid ecology to a Smithsonian-initiated continental-scale effort to use an ecological model to conserve native orchids through a collaborative effort that is being developed by the North American Orchid Conservation Center (NAOCC). 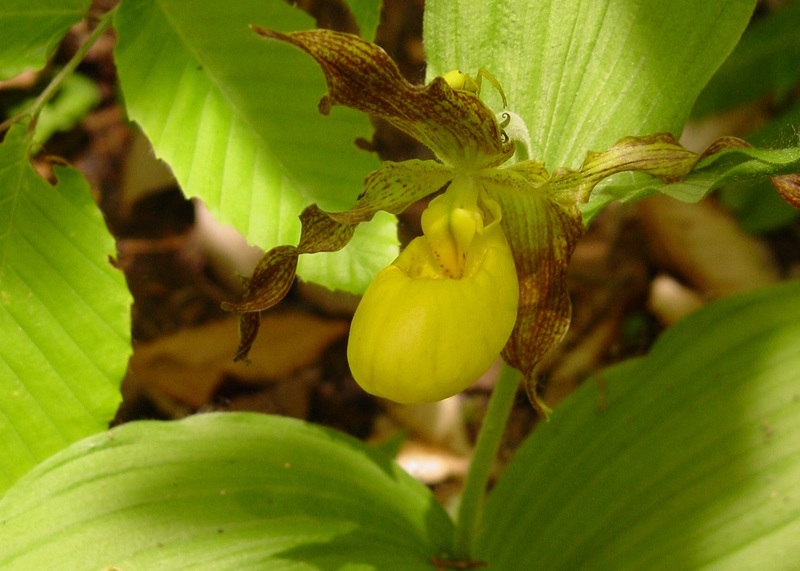 Dennis will describe how NAOCC's allies are providing important orchid conservation support, and how both scientists and the public can become engaged in this effort to assure the survival of an entire plant family on a continental scale. New York state alone has about 59 species of native orchids, which need our collective and collaborative attention to ensure their preservation. Did you know that the Natural Areas of Cornell Botanic Gardens are host to 24 species of native orchids? Staff Botanist Robert Wesley will share highlights of these species, including several that are facing conservation challenges and declining or believed extirpated from our preserves.